Chris crashes into a carload of other young people, and the group of stranded motorists is soon lost in the woods of West Virginia, where they’re hunted by three cannibalistic mountain men who are grossly disfigured by generations of inbreeding. Four boyhood pals perform a heroic act and are changed by the powers they gain in return. Years later, on a hunting trip in the Maine woods, they’re overtaken by a vicious blizzard that harbors an ominous presence. Challenged to stop an alien force, the friends must first prevent the slaughter of innocent civilians by a military vigilante … and then overcome a threat to the bond that unites the four of them. Desperate for companionship, the repressed Willard befriends a group of rats that inhabit his late father’s deteriorating mansion. In these furry creatures, Willard finds temporary refuge from daily abuse at the hands of his bedridden mother and his father’s old partner, Frank. Soon it becomes clear that the brood of rodents is ready and willing to exact a vicious, deadly revenge on anyone who dares to bully their sensitive new master. A vengeful spirit has taken the form of the Tooth Fairy to exact vengeance on the town that lynched her 150 years earlier. Her only opposition is the only child, now grown up, who has survived her before. For years, Blade has fought against the vampires in the cover of the night. But now, after falling into the crosshairs of the FBI, he is forced out into the daylight, where he is driven to join forces with a clan of human vampire hunters he never knew existed—The Nightstalkers. Together with Abigail and Hannibal, two deftly trained Nightstalkers, Blade follows a trail of blood to the ancient creature that is also hunting him—the original vampire, Dracula. Telly Paretta is a grieving mother struggling to cope with the loss of her 8-year-old son. She is stunned when her psychiatrist reveals that she has created eight years of memories about a son she never had. But when she meets a man who has had a similar experience, Telly embarks on a search to prove her son’s existence, and her sanity. Having lived through traumatizing events during WWII, Father Lankester Merrin takes a sabbatical from the Church to conduct archaeological excavations in British-administered East Africa. Merrin unearths an ancient Byzantine church believed have been built and then immediately buried to keep down evil from the crypt below. The natives are convinced that uncovering the church has unleashed a demon, and begin to violently clash with the British military troops. As the village rapidly disintegrates into chaos and war, Merrin must face-off with the demon which has taken possession of somebody close to him. A couple agree to have their deceased son cloned under the supervision of an enigmatic doctor, but bizarre things start to happen years after his rebirth. When a serial killer interrupts the fun at the swanky Coconut Pete’s Coconut Beach Resort — a hedonistic island paradise for swingers — it’s up to the club’s staff to stop the violence … or at least hide it! Stranded backpackers in remote Australia fall prey to a murderous bushman, who offers to fix their car, then takes them captive. 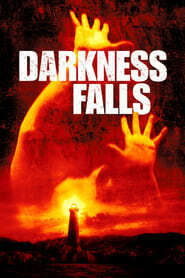 Trapped within an eerie mist, the residents of Antonio Bay have become the unwitting victims of a horrifying vengeance. One hundred years earlier, a ship carrying lepers was purposely lured onto the rocky coastline and sank, drowning all aboard. Now they’re back – long-dead mariners who’ve waited a century for their revenge. Eight unsuspecting high school seniors at a posh boarding school, who delight themselves on playing games of lies, come face-to-face with terror and learn that nobody believes a liar – even when they’re telling the truth. 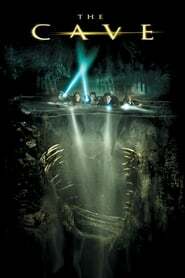 After a group of biologists discovers a huge network of unexplored caves in Romania and, believing it to be an undisturbed eco-system that has produced a new species, they hire the best American team of underwater cave explorers in the world. While exploring deeper into the underwater caves, a rockslide blocks their exit, and they soon discover a larger carnivorous creature has added them to its food chain. Dahlia Williams and her daughter Cecelia move into a rundown apartment on New York’s Roosevelt Island. She is currently in midst of divorce proceedings and the apartment, though near an excellent school for her daughter, is all she can afford. From the time she arrives, there are mysterious occurrences and there is a constant drip from the ceiling in her daughter’s bedroom. The world is full of zombies and the survivors have barricaded themselves inside a walled city to keep out the living dead. As the wealthy hide out in skyscrapers and chaos rules the streets, the rest of the survivors must find a way to stop the evolving zombies from breaking into the city. The fictional world of Royston Vasey is facing apocalypse and the only way to avert disaster is for our nightmarish cast of characters to find a way into the real world and confront their creators. From present day Soho to the fictional film world of 17th Century Britain, the residents must overcome countless bizarre obstacles in their bid to return Royston Vasey to safety. Haunted by terrible acts the Nazis forced him to participate in, the disenchanted Father Lankester Merrin focuses his energies on helping with an archaeological dig in the northern part of Kenya. 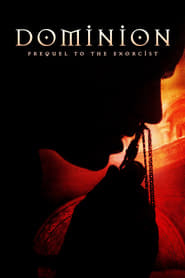 There, the crew uncovers a church that predates Christian missions into the area, but the discovery also causes strange events to start occurring — including physical changes to a young, disabled boy, whom Merrin grows to suspect has been possessed by a demon. Every culture has one – the horrible monster fueling young children’s nightmares. But for Tim, the Boogeyman still lives in his memories as a creature that devoured his father 16 years earlier. Is the Boogeyman real? Or did Tim make him up to explain why his father abandoned his family? David Callaway tries to piece together his life in the wake of his wife’s suicide and has been left to raise his nine-year-old daughter, Emily on his own. David is at first amused to discover that Emily has created an imaginary friend named ‘Charlie’, but it isn’t long before ‘Charlie’ develops a sinister and violent side, and as David struggles with his daughter’s growing emotional problems, he comes to the frightening realisation that ‘Charlie’ isn’t just a figment of Emily’s imagination.